The International Dog Shows C.A.C. & C.A.C.I.B are organized twice a year at the Fairground – in the spring and in the autumn. The National Dog Show C.A.C. 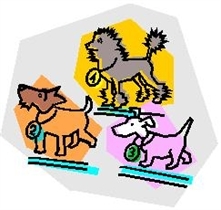 is the place for awarding dogs of all breeds with certificates of national beauty champion candidates. C.A.C.I.B is an International Dog Show for dogs from all breeds for awarding the certificate of an international beauty champion candidate. Both trade visitors and general public find the shows really intresting.